This is the third day of evacuation. The river keeps getting higher. At first Minot though we could handle the flow at 11-12,000 cfs. The peak flow through Minot is expected to be 29,000 cfs. To th0se familiar with the 69 flood, this is 8-9 feet more water in the valley than we had at that time. The fight now is to keep the Highway 83 bypass open on the west side of the city, Broadway and maybe Third Street NE. Also in danger now and dikes are being built to protect it is Highway 52 going NW out of Minot. The area Tressel Valley, the railroad tressel, is expected to be flooded and closed by late this afternoon. Highway 52 southeast of Minot is closed due to water over the road. A very high profile vehicle may make it through. An email I received through facebook informed me that the water over-flowed the dikes by Eastwood Park about 11:30 Thursday night, June 23rd. So I am officially flooded out. 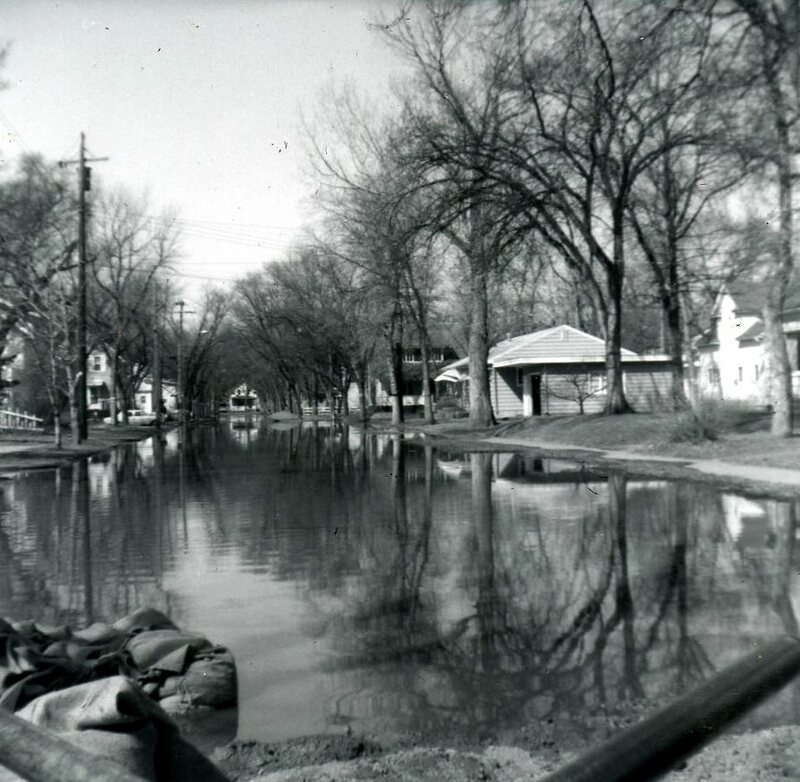 The picture below shows the flood of 69 in Eastwood Park. 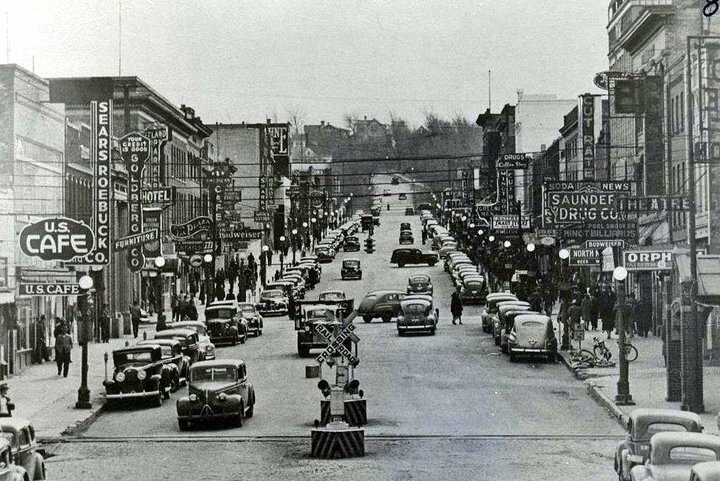 The picture, (thanks to Jim Pence), is looking west on Second Ave. My house is the one in the background on the right hand side. Water in 69 was about a foot or so below the basement ceiling. This time we are expecting 3-4 feet of water on the main floor. Now it is a waiting game ... when will the water go down.